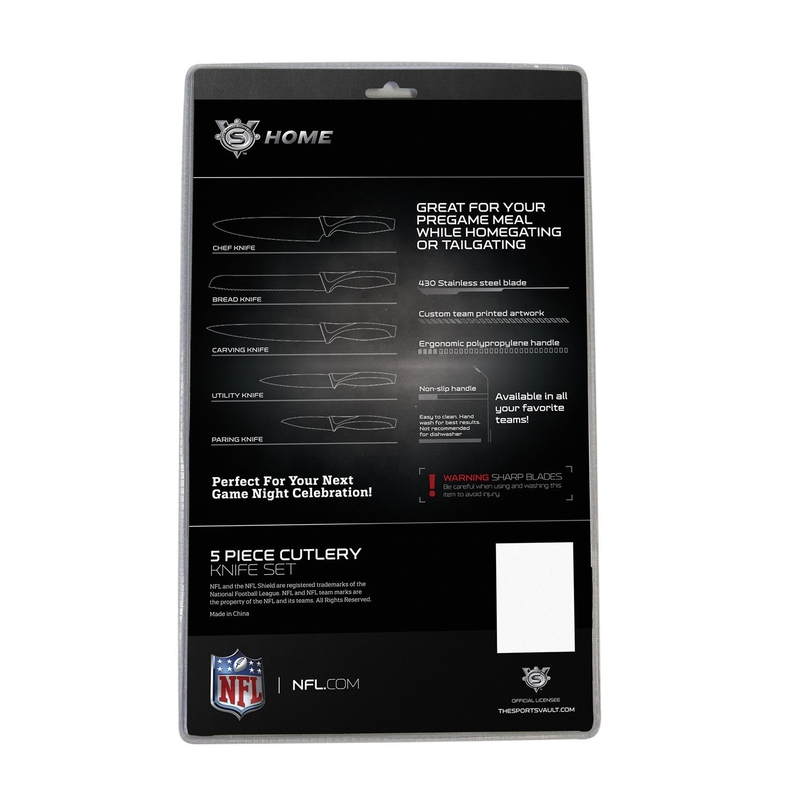 Be the star at your next gameday barbecue, cookout, or tailgate with the Cincinnati Bengals Kitchen Knives Set of 5. 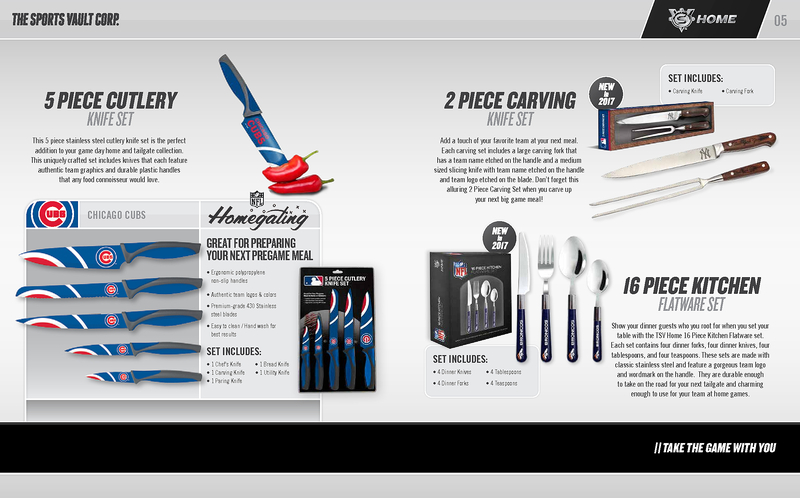 Each knife in the set features Nfl officially-licensed Cincinnati Bengals color scheme and team mascot. 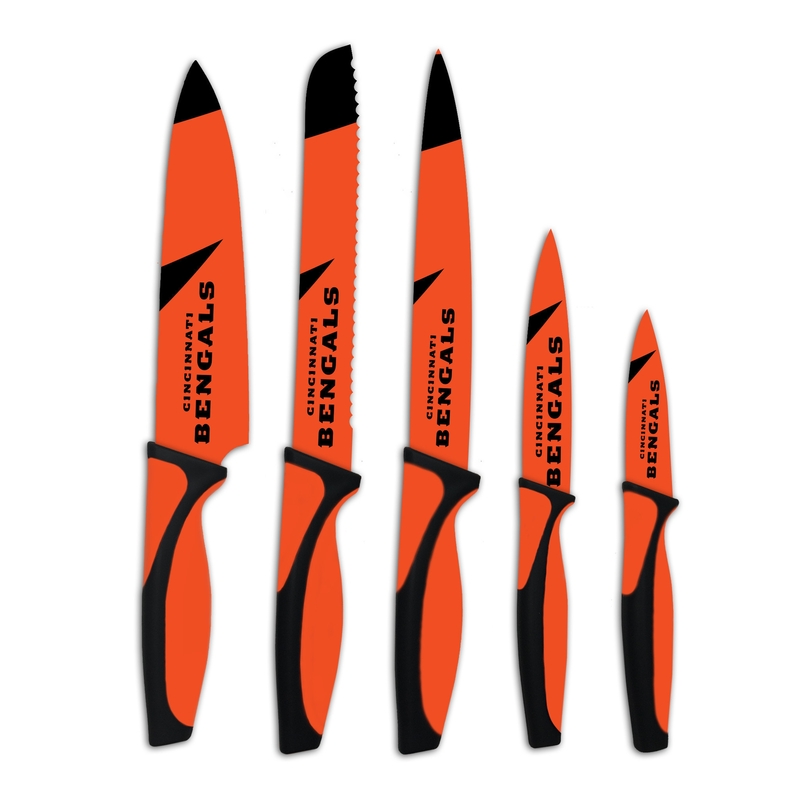 The Cincinnati Bengals Kitchen Knives Set of 5 includes a chef's knife, carving knife, paring knife, bread knife, and utility knife. With an extra durable stainless steel blade, these knives are designed to make the final cut and clean easily. The handles are crafted with an ergonomic design from polypropylene to reduce slippage. 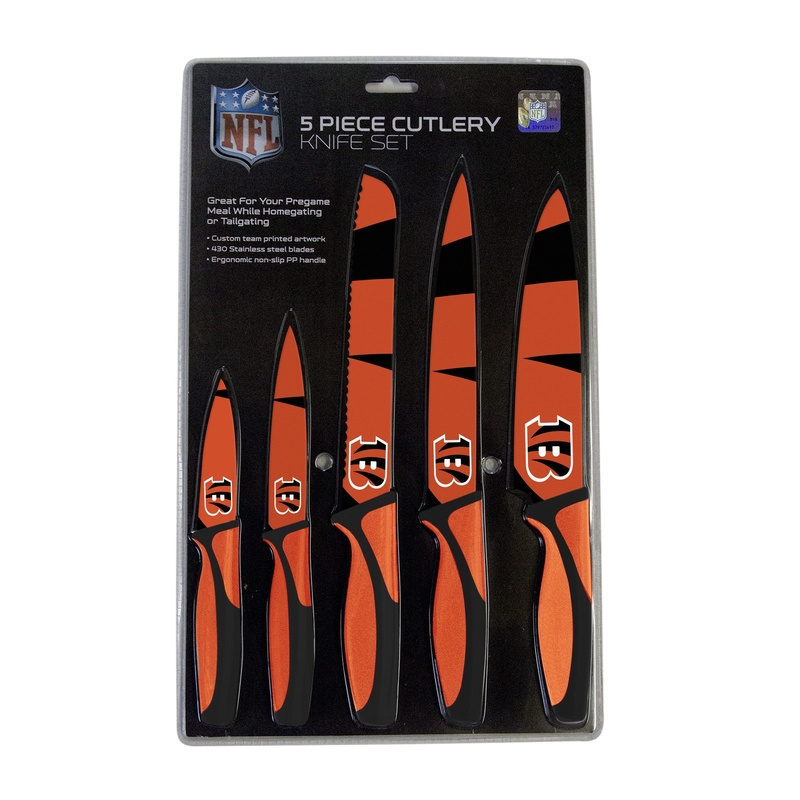 Order the Cincinnati Bengals Kitchen Knives Set of 5 today as a gift or for yourself.